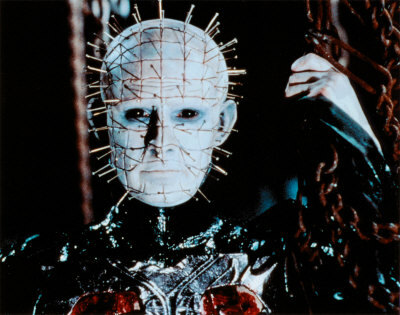 Director Patrick Lussier and writer Todd Farmer, the team behind 'Drive Angry 3D' and 'My Bloody Valentine 3D', will be bringing back pinhead in a new 'Hellraiser' remake at Dimension Films. In the original back in 1987, a man finds he is given more than he bargains for when he solves the puzzle of the Lament Configuration - a doorway to hell. But his ex-lover has found a way of bringing him back, and his niece, Kirsty Lawrence, finds herself bargaining with the Cenobites, angels to some, demons to others, whose greatest pleasure is the greatest pain. Lets hope old pinhead does not run into Thor.